Conference Series LLC Ltd Organizes 3000+Global Events inclusive of 600+ Conferences, 1200+ Workshops and 1200+ Symposiums every year across USA, Europe & Asia with support from 1000 more scientific societies. 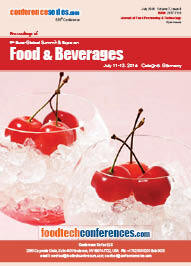 Euro Food-2015 has successfully concluded on June 16-18, 2015 at Alicante, Spain. This pinnacle brought together the senior level experts with a perfect blend for multidisciplinary collaboration between innovators, scientists, academicians from all over the world and discussed the latest breakthroughs with keynotes and featured presentations in the field of food research mainly focusing on food and Beverages and after that Euro Food-2016 Successfully held on July 11-13, 2016 at Cologne, Germany. The conference attracted participants from academia and industry processes around the world. Euro Food -2017 successfully held on March 2-4, 2017 at Amsterdam, Netherland and this conference gave an exposure various proficient industrialists and scientist followed by Euro Food -2018 successfully held on March 08-10,2018 at Berlin, Germany where experts from different parts of the globe collaborated to present their views on the field of food and beverage. Euro Food -2019 successfully held on February 28-March 01, 2019 at London, UK where experts from different parts of the globe collaborated to present their views and latest breakthroughs with keynotes and featured presentations in the field of food research mainly focusing on food and Beverages. So after five consecutive successful events Conference Series LLC Ltd decided to organize Euro Food-2020 on February 26- 27, 2020 at Berlin, Germany. Euro Food 2020 will bring together the Food Scientists, Sensory analysis, Food Analyst, Flavour Scientists, Nutritionists, Agronomist, Microbiologists, Chemists, Quality Assurance Specialists, and Quality Assurance Managers, Specialists in Food and Beverages, Product Recall Specialists, Product Development Specialists, Quality Control Specialists, Machine Development Specialists, Equipment Handling Specialist etc. Berlin is the capital and the largest city of Germany as well as one of its 16 constituent states. It is the second most populous city proper and the seventh most populous urban area in the European Union. It’s also one of Europe's successful researches, business and technology clusters is based at WISTA in Berlin-Adlershof, with more than 1,000 affiliated firms, university departments and scientific institutions. For producers of the food industry, the capital region offers perfect conditions. The proximity to the cultivation industry ensures quality and freshness. Brandenburg’s farming companies are characterised by a higher-than-average productivity due to the comparatively huge manufacturing companies. Following the bio-trend, Brandenburg’s companies manage over 9.7 % of the farming area in ecological organic farming, conquering therewith the first place in Germany’s ranking. Therefore, we look forward to an exciting scientific event, business meeting, trade fair and exhibition and welcome you to join us at Food and beverage conference in the Berlin, Germany. 23rd Euro-Global summit on Food and Beverages, February 26-27, 2020, Berlin, Germany; 10th Euro-Global Aquaculture Conferences, October 08-09, 2018, London, UK; 22nd Euro- Global Food Conferences, February 28- March 02, 2019 London, UK; 8th International Food Safety Conferences, June 11-12, 2018 Barcelona, Spain; 14th International Nutrition Conferences, July 19-20, 2018, London, UK; 21st European Food & Nutrition Conferences, June 11-12, 2018, Dublin, Ireland; 15th International Food & Nutrition Conferences, May 24-26, 2018, Vienna, Austria; 6th International Nutrition Conferences, August 16-18, 2018, Dublin, Ireland; 19th International Nutrition & Health Conferences, April 12-14, 2018, Amsterdam, Netherlands; 21st International Food Summit, October 11-13, 2018, Moscow, Russia; 6th Global Plant Biology Meetings, October 29-30, 2018, Madrid, Spain; 3rd International Food Packaging Conferences, July 16-18, 2018, Rome, Italy; 5th Global Plant Science Meetings, June 20-21, 2018, Rome, Italy; 21st International Food Technology Conferences, October 02-04, 2018, London, UK, 9th European Food Safety Conferences, November 29-30, 2018 Dublin, Ireland; 3rd International Food Microbiology Conferences, November 29-30, 2018 Dublin, Ireland; 14th Euro Obesity Conferences, September 13-14, 2018, London, UK; 14th International Childhood Obesity Conferences, February 18-19, 2019, Rome, Italy, 7th International Nutrition and Food Sciences, May 13-15, 2018,Lisbon, Portugal, 3rd International Food Security and Sustainability Conference, May 21-22 ,2018, New York, USA, The Food Defence Conference, May 22-24, 2018 Minneapolis, Minnesota, Nano-Enabled Technologies to Improve Efficiency, Quality, and Health in Food and Agriculture Conference, June 02 - 03, 2018,South Hadley, US, North American Food Safety & Quality Conference 2018,June 05-06, 2018, Chicago, IL, 5th International on Food Oral Processing Conference , July 01-04,2018, University of Nottingham, United Kingdom, International Food Blogger Conference, August 24-26,2018,New Orleans, Louisiana, Innovations in Food Science and Human Nutrition event ,September 13-15, 2018,Rome, Italy, 2nd International Food Science and Bioprocess Technology Conference , October 01-03, 2018, Frankfurt, Germany. 23rd Euro-Global summit on Food and Beverages, February 26-27, 2020, Berlin, Germany; 10th Euro-Global Aquaculture Conferences, October 08-09, 2018, London, UK; 22nd Euro-Global Food Conferences, February 28- March 02, 2019 London, UK; 8th International Food Safety Conferences, June 11-12, 2018 Barcelona, Spain; 14th International Nutrition Conferences, July 19-20, 2018, London, UK; 21st European Food & Nutrition Conferences, June 11-12, 2018, Dublin, Ireland; 15th International Food & Nutrition Conferences, May 24-26, 2018, Vienna, Austria; 6th International Nutrition Conferences, August 16-18, 2018, Dublin, Ireland; 19th International Nutrition & Health Conferences, April 12-14, 2018, Amsterdam, Netherlands; 21st International Food Summit, October 11-13, 2018, Moscow, Russia; 6th Global Plant Biology Meetings, October 29-30, 2018, Madrid, Spain; 3rd International Food Packaging Conferences, July 16-18, 2018, Rome, Italy; 5th Global Plant Science Meetings, June 20-21, 2018, Rome, Italy; 21st International Food Technology Conferences, October 02-04, 2018, London, UK, 9th European Food Safety Conferences, November 29-30, 2018 Dublin, Ireland; 3rd International Food Microbiology Conferences, November 29-30, 2018 Dublin, Ireland; 14th Euro Obesity Conferences, September 13-14, 2018, London, UK; 14th International Childhood Obesity Conferences, February 18-19, 2019, Rome, Italy , 7th International Nutrition and Food Sciences Conference , May 13-15, 2018,Lisbon, Portugal, 3rd International Food Security and Sustainability Conference , May 21-22 ,2018, New York, USA, The Food Defence Conference, May 22-24, 2018,Minneapolis, Minnesota, Nano-Enabled Technologies to Improve Efficiency, Quality, and Health in Food and Agriculture Conference, June 02 - 03, 2018,South Hadley, US, North American Food Safety & Quality Conferences 2018,June 05-06, 2018, Chicago, IL, Food & Nutrition Conference & Expo 2018 , October 20-23, 2018 Washington, United States, Global Food Tourism Conference October 14-16, 2018,Austin, Texas, International Raw Materials to Processed Foods Conferences, April 11-13, 2018, Antalya, Turkey, 7th International Food Factors Conference ,December 1-5, 2019, Kobe, Japan ,Global Feed & Food Congress, March 11-13 March 2019, Bangkok, Thailand. Europe: European Snacks Association, Hellenic Food Authority, Danish Agriculture & Food Council, Euro Agro Food Chain 2. 23rd Euro-Global summit on Food and Beverages, February 26-27, 2020, Berlin, Germany; 10th Euro-Global Aquaculture Conferences, October 08-09, 2018, London, UK; 22nd Euro-Global Food Conferences, February 28- March 02, 2019 London, UK; 8th International Food Safety Conferences, June 11-12, 2018 Barcelona, Spain; 14th International Nutrition Conferences, July 19-20, 2018, London, UK; 21st European Food & Nutrition Conferences, June 11-12, 2018, Dublin, Ireland; 15th International Food & Nutrition Conferences, May 24-26, 2018, Vienna, Austria; 6th International Nutrition Conferences, August 16-18, 2018, Dublin, Ireland; 19th International Nutrition & Health Conferences, April 12-14, 2018, Amsterdam, Netherlands; 21st International Food Summit, October 11-13, 2018, Moscow, Russia; 6th Global Plant Biology Meetings, October 29-30, 2018, Madrid, Spain; 3rd International Food Packaging Conferences, July 16-18, 2018, Rome, Italy; 5th Global Plant Science Meetings, June 20-21, 2018, Rome, Italy; 21st International Food Technology Conferences, October 02-04, 2018, London, UK, 9th European Food Safety Conferences, November 29-30, 2018 Dublin, Ireland; 3rd International Food Microbiology Conferences, November 29-30, 2018 Dublin, Ireland; 14th Euro Obesity Conferences, September 13-14, 2018, London, UK; 14th International Childhood Obesity Conferences, February 18-19, 2019, Rome, Italy, International Agriculture, Forest, Food Sciences and Technologies Conference, April 02-05,2018,cesme Izmir, turkey, 9th International Biotechnology and Food Science Conferences , April 09-11, 2018, Copenhagen, Denmark, 5th International Food Security and Nutrition Conferences , April 09-11, 2018, Copenhagen, Denmark, International Raw Materials to Processed Foods Conferences April 11-13, 2018, Antalya, Turkey, Food Protection Conferences , April 16 -20, 2018, Richmond, Virginia, National Agricultural & Food Mechanisation (NCAFM) Conferences 2018, April 17-192018, Sarawak, Malaysia, Food & Beverage, Hospitality Conferences, April24-27,2018, Singapore Expo & Suntec Singapore, International Food Safety and Food Processing Conferences , May 02-03, 2018, Melbourne, Australia ,20th Annual Food Safety Summit, May 07-10, 2018, Rosemont, Illinois. Europe: The Society of Food Hygiene & Technology, Georgia Association for Food Protection, Association for Nutrition, European Food Cluster Association. 23rd Euro-Global summit on Food and Beverages, February 26-27, 2020, Berlin, Germany; 10th Euro-Global Aquaculture Conferences, October 08-09, 2018, London, UK; 22nd Euro-Global Food Conferences, February 28- March 02, 2019 London, UK; 8th International Food Safety Conferences, June 11-12, 2018 Barcelona, Spain; 14th International Nutrition Conferences, July 19-20, 2018, London, UK; 21st European Food & Nutrition Conferences, June 11-12, 2018, Dublin, Ireland; 15th International Food & Nutrition Conferences, May 24-26, 2018, Vienna, Austria; 6th International Nutrition Conferences, August 16-18, 2018, Dublin, Ireland; 19th International Nutrition & Health Conferences, April 12-14, 2018, Amsterdam, Netherlands; 21st International Food Summit, October 11-13, 2018, Moscow, Russia; 6th Global Plant Biology Meetings, October 29-30, 2018, Madrid, Spain; 3rd International Food Packaging Conferences, July 16-18, 2018, Rome, Italy; 5th Global Plant Science Meetings, June 20-21, 2018, Rome, Italy; 21st International Food Technology Conferences, October 02-04, 2018, London, UK, 9th European Food Safety Conferences, November 29-30, 2018 Dublin, Ireland; 3rd International Food Microbiology Conferences, November 29-30, 2018 Dublin, Ireland; 14th Euro Obesity Conferences, September 13-14, 2018, London, UK; 14th International Childhood Obesity Conferences, February 18-19, 2019, Rome, Italy, Food & Beverage, Hospitality Conference, April24-27,2018, Singapore Expo & Suntec Singapore, International Food Safety and Food Processing Conferences, May 02-03, 2018, Melbourne, Australia ,20th Annual Food Safety Summit, May 07-10, 2018, Rosemont, Illinois, 7th International Nutrition and Food Sciences Conferences, May 13-15, 2018,Lisbon, Portugal, 3rd International Food Security and Sustainability Conferences, May 21-22 ,2018, New York, USA, The Food Defence Conferences, May 22-24, 2018, Minneapolis, Minnesota, Nano-Enabled Technologies to Improve Efficiency, Quality, and Health in Food and Agriculture Conferences, June 02 - 03, 2018,South Hadley, US, North American Food Safety & Quality Conferences, 2018,June 05-06, 2018,Chicago, IL, 5th International Food Oral Processing Conferences, July 01-04,2018, University of Nottingham, United Kingdom, 20th International Food Security and Nutrition Conferences, June 14 - 15, 2018, Vienna, Austria, 2nd International Food Science, Nutrition & Probiotics Conferences, August 06-08, 2018,Berlin, Germany, International Food Blogger Conferences, August 24-26,2018,New Orleans, Louisiana. Asia: International Food & Beverage Association, Food Hygiene Asia, Hong Kong Food Science and Technology Association, Agricultural & Applied Economics Association. 23rd Euro-Global summit on Food and Beverages, February 26-27, 2020, Berlin, Germany; 10th Euro-Global Aquaculture Conferences, October 08-09, 2018, London, UK; 22nd Euro-Global Food Conferences, February 28- March 02, 2019 London, UK; 8th International Food Safety Conferences, June 11-12, 2018 Barcelona, Spain; 14th International Nutrition Conferences, July 19-20, 2018, London, UK; 21st European Food & Nutrition Conferences, June 11-12, 2018, Dublin, Ireland; 15th International Food & Nutrition Conferences, May 24-26, 2018, Vienna, Austria; 6th International Nutrition Conferences, August 16-18, 2018, Dublin, Ireland; 19th International Nutrition & Health Conferences, April 12-14, 2018, Amsterdam, Netherlands; 21st International Food Summit, October 11-13, 2018, Moscow, Russia; 6th Global Plant Biology Meetings, October 29-30, 2018, Madrid, Spain; 3rd International Food Packaging Conferences, July 16-18, 2018, Rome, Italy; 5th Global Plant Science Meetings, June 20-21, 2018, Rome, Italy; 21st International Food Technology Conferences, October 02-04, 2018, London, UK, 9th European Food Safety Conferences, November 29-30, 2018 Dublin, Ireland; 3rd International Food Microbiology Conferences, November 29-30, 2018 Dublin, Ireland; 14th Euro Obesity Conferences, September 13-14, 2018, London, UK; 14th International Childhood Obesity Conferences, February 18-19, 2019, Rome, Italy, International Raw Materials to Processed Foods Conference April 11-13, 2018, Antalya, Turkey, Food Protection Conferences, April 16 -20, 2018, Richmond, Virginia, National Agricultural & Food Mechanisation Conferences (NCAFM) 2018, April 17-192018, Sarawak, Malaysia, Food & Beverage, Hospitality Conference, April24-27,2018, Singapore Expo & Suntec Singapore, International Food Safety and Food Processing Conferences , May 02-03, 2018, Melbourne, Australia ,20th Annual Food Safety Summit, May 07-10, 2018, Rosemont, Illinois, 7th International Nutrition and Food Sciences Conferences, May 13-15, 2018,Lisbon, Portugal, 3rd International Food Security and Sustainability Conferences, May 21-22 ,2018, New York, USA, The Food Defence Conference, May 22-24, 2018, Minneapolis, Minnesota, Nano-Enabled Technologies to Improve Efficiency, Quality, and Health in Food and Agriculture Conferences June 02 - 03, 2018,South Hadley, US. 23rd Euro-Global summit on Food and Beverages, February 26-27, 2020, Berlin, Germany; 10th Euro-Global Aquaculture Conferences, October 08-09, 2018, London, UK; 22nd Euro-Global Food Conferences, February 28- March 02, 2019 London, UK; 8th International Food Safety Conferences, June 11-12, 2018 Barcelona, Spain; 14th International Nutrition Conferences, July 19-20, 2018, London, UK; 21st European Food & Nutrition Conferences, June 11-12, 2018, Dublin, Ireland; 15th International Food & Nutrition Conferences, May 24-26, 2018, Vienna, Austria; 6th International Nutrition Conferences, August 16-18, 2018, Dublin, Ireland; 19th International Nutrition & Health Conferences, April 12-14, 2018, Amsterdam, Netherlands; 21st International Food Summit, October 11-13, 2018, Moscow, Russia; 6th Global Plant Biology Meetings, October 29-30, 2018, Madrid, Spain; 3rd International Food Packaging Conferences, July 16-18, 2018, Rome, Italy; 5th Global Plant Science Meetings, June 20-21, 2018, Rome, Italy; 21st International Food Technology Conferences, October 02-04, 2018, London, UK, 9th European Food Safety Conferences, November 29-30, 2018 Dublin, Ireland; 3rd International Food Microbiology Conferences, November 29-30, 2018 Dublin, Ireland; 14th Euro Obesity Conferences, September 13-14, 2018, London, UK; 14th International Childhood Obesity Conferences, February 18-19, 2019, Rome, Italy , Conference Food Protection, April 16 -20, 2018, Richmond, Virginia, National Agricultural & Food Mechanisation Conference (NCAFM) 2018, April 17-192018, Sarawak, Malaysia, Food & Beverage, Hospitality Conference, April24-27,2018, Singapore Expo & Suntec Singapore, International Food Safety and Food Processing Conference, May 02-03, 2018, Melbourne, Australia ,20th Annual Food Safety Summit, May 07-10, 2018, Rosemont, Illinois, 7th International Nutrition and Food Sciences Conference, May 13-15, 2018,Lisbon, Portugal, 3rd International Food Security and Sustainability Conference, May 21-22 ,2018, New York, USA, Nano-Enabled Technologies to Improve Efficiency, Quality, and Health in Food and Agriculture Conference, June 02 - 03, 2018,South Hadley, US, 7th International Food Factors Conference ,December 1-5, 2019, Kobe, Japan ,Global Feed & Food Congress, March 11-13 March 2019, Bangkok, Thailand. 23rd Euro-Global summit on Food and Beverages, February 26-27, 2020, Berlin, Germany; 10th Euro-Global Aquaculture Conferences, October 08-09, 2018, London, UK; 22nd Euro-Global Food Conferences, February 28- March 02, 2019 London, UK; 8th International Food Safety Conferences, June 11-12, 2018 Barcelona, Spain; 14th International Nutrition Conferences, July 19-20, 2018, London, UK; 21st European Food & Nutrition Conferences, June 11-12, 2018, Dublin, Ireland; 15th International Food & Nutrition Conferences, May 24-26, 2018, Vienna, Austria; 6th International Nutrition Conferences, August 16-18, 2018, Dublin, Ireland; 19th International Nutrition & Health Conferences, April 12-14, 2018, Amsterdam, Netherlands; 21st International Food Summit, October 11-13, 2018, Moscow, Russia; 6th Global Plant Biology Meetings, October 29-30, 2018, Madrid, Spain; 3rd International Food Packaging Conferences, July 16-18, 2018, Rome, Italy; 5th Global Plant Science Meetings, June 20-21, 2018, Rome, Italy; 21st International Food Technology Conferences, October 02-04, 2018, London, UK, 9th European Food Safety Conferences, November 29-30, 2018 Dublin, Ireland; 3rd International Food Microbiology Conferences, November 29-30, 2018 Dublin, Ireland; 14th Euro Obesity Conferences, September 13-14, 2018, London, UK; 14th International Childhood Obesity Conferences, February 18-19, 2019, Rome, Italy, 5th International Food Security and Nutrition Conference, April 09-11, 2018, Copenhagen, Denmark, International Raw Materials to Processed Foods Conference April 11-13, 2018, Antalya, Turkey, Food Protection Conference, April 16 -20, 2018, Richmond, Virginia, National Agricultural & Food Mechanisation Conference (NCAFM) 2018, April 17-192018, Sarawak, Malaysia, Food & Beverage, Hospitality Conference, April24-27,2018, Singapore Expo & Suntec Singapore, International Food Safety and Food Processing Conference , May 02-03, 2018, Melbourne, Australia ,20th Annual Food Safety Summit, May 07-10, 2018, Rosemont, Illinois, 7th International Nutrition and Food Sciences Conference, May 13-15, 2018,Lisbon, Portugal, 3rd International Food Security and Sustainability Conference , May 21-22 ,2018, New York, USA, The Food Defence Conference, May 22-24, 2018, Minneapolis, Minnesota. 23rd Euro-Global summit on Food and Beverages, February 26-27, 2020, Berlin, Germany; 10th Euro-Global Aquaculture Conferences, October 08-09, 2018, London, UK; 22nd Euro-Global Food Conferences, February 28- March 02, 2019 London, UK; 8th International Food Safety Conferences, June 11-12, 2018 Barcelona, Spain; 14th International Nutrition Conferences, July 19-20, 2018, London, UK; 21st European Food & Nutrition Conferences, June 11-12, 2018, Dublin, Ireland; 15th International Food & Nutrition Conferences, May 24-26, 2018, Vienna, Austria; 6th International Nutrition Conferences, August 16-18, 2018, Dublin, Ireland; 19th International Nutrition & Health Conferences, April 12-14, 2018, Amsterdam, Netherlands; 21st International Food Summit, October 11-13, 2018, Moscow, Russia; 6th Global Plant Biology Meetings, October 29-30, 2018, Madrid, Spain; 3rd International Food Packaging Conferences, July 16-18, 2018, Rome, Italy; 5th Global Plant Science Meetings, June 20-21, 2018, Rome, Italy; 21st International Food Technology Conferences, October 02-04, 2018, London, UK, 9th European Food Safety Conferences, November 29-30, 2018 Dublin, Ireland; 3rd International Food Microbiology Conferences, November 29-30, 2018 Dublin, Ireland; 14th Euro Obesity Conferences, September 13-14, 2018, London, UK; 14th International Childhood Obesity Conferences, February 18-19, 2019, Rome, Italy, 21st International Food Technology Conferences, October 02-04, 2018, London, UK, 9th European Food Safety Conferences, November 29-30, 2018 Dublin, Ireland; 3rd International Food Microbiology Conferences, November 29-30, 2018 Dublin, Ireland; 14th Euro Obesity Conferences, September 13-14, 2018, London, UK; 14th International Childhood Obesity Conferences, February 18-19, 2019, Rome, Italy, International Food Chemistry and Technology Conference, November 05-07, 2018,Berlin, Germany, Food Matters Live Conference,November20-26,2018,ExCeL, London, China, International Food Safety & Quality Conference , November 07 - 08, 2018 ,Shanghai City, China, 7th International Food Factors Conference, December 1-5, 2019, Kobe, Japan ,Global Feed & Food Congress, March 11-13 March 2019, Bangkok, Thailand, International Agriculture, Forest, Food Sciences and Technologies Conference, April 02-05,2018,cesme Izmir, turkey, 9th International Biotechnology and Food Science Conference, April 09-11, 2018, Copenhagen, Denmark, 5th International Food Security and Nutrition Conference, April 09-11, 2018, Copenhagen, Denmark, International Raw Materials to Processed Foods Conference, April 11-13, 2018, Antalya, Turkey. 23rd Euro-Global summit on Food and Beverages, February 26-27, 2020, Berlin, Germany; 10th Euro-Global Aquaculture Conferences, October 08-09, 2018, London, UK; 22nd Euro-Global Food Conferences, February 28- March 02, 2019 London, UK; 8th International Food Safety Conferences, June 11-12, 2018 Barcelona, Spain; 14th International Nutrition Conferences, July 19-20, 2018, London, UK; 21st European Food & Nutrition Conferences, June 11-12, 2018, Dublin, Ireland; 15th International Food & Nutrition Conferences, May 24-26, 2018, Vienna, Austria; 6th International Nutrition Conferences, August 16-18, 2018, Dublin, Ireland; 19th International Nutrition & Health Conferences, April 12-14, 2018, Amsterdam, Netherlands; 21st International Food Summit, October 11-13, 2018, Moscow, Russia; 6th Global Plant Biology Meetings, October 29-30, 2018, Madrid, Spain; 3rd International Food Packaging Conferences, July 16-18, 2018, Rome, Italy; 5th Global Plant Science Meetings, June 20-21, 2018, Rome, Italy; 21st International Food Technology Conferences, October 02-04, 2018, London, UK, 9th European Food Safety Conferences, November 29-30, 2018 Dublin, Ireland; 3rd International Food Microbiology Conferences, November 29-30, 2018 Dublin, Ireland; 14th Euro Obesity Conferences, September 13-14, 2018, London, UK; 14th International Childhood Obesity Conferences, February 18-19, 2019, Rome, Italy , 21st International Food Technology Conferences, October 02-04, 2018, London, UK, 9th European Food Safety Conferences, November 29-30, 2018 Dublin, Ireland; 3rd International Food Microbiology Conferences, November 29-30, 2018 Dublin, Ireland; 14th Euro Obesity Conferences, September 13-14, 2018, London, UK; 14th International Childhood Obesity Conferences, February 18-19, 2019, Rome, Italy , The Food Defence Conference, May 22-24, 2018,Minneapolis, Minnesota, Nano-Enabled Technologies to Improve Efficiency, Quality, and Health in Food and Agriculture Conferences, June 02 - 03, 2018,South Hadley, US, North American Food Safety & Quality Conferences, 2018,June 05-06, 2018,Chicago, IL, 5th International Food Oral Processing Conferences, July 01-04,2018, University of Nottingham, United Kingdom, 20th International Food Security and Nutrition Conferences, June 14 - 15, 2018, Vienna, Austria, 2nd International Food Science, Nutrition & Probiotics Conferences, August 06-08, 2018,Berlin, Germany, International Food Blogger Conference, August 24-26,2018,New Orleans, Louisiana, Innovations in Food Science and Human Nutrition Conferences, September 13-15, 2018,Rome, Italy, 2nd International Food Science and Bioprocess Technology Conferences, October 01-03, 2018, Frankfurt, Germany, Food & Nutrition Conference & Expo 2018, October 20-23, 2018 Washington, United States, Global Food Tourism Conference, October 14-16, 2018,Austin, Texas, International Food Chemistry and Technology Conferences, November 05-07, 2018,Berlin, Germany. 23rd Euro-Global summit on Food and Beverages, February 26-27, 2020, Berlin, Germany; 10th Euro-Global Aquaculture Conferences, October 08-09, 2018, London, UK; 22nd Euro-Global Food Conferences, February 28- March 02, 2019 London, UK; 8th International Food Safety Conferences, June 11-12, 2018 Barcelona, Spain; 14th International Nutrition Conferences, July 19-20, 2018, London, UK; 21st European Food & Nutrition Conferences, June 11-12, 2018, Dublin, Ireland; 15th International Food & Nutrition Conferences, May 24-26, 2018, Vienna, Austria; 6th International Nutrition Conferences, August 16-18, 2018, Dublin, Ireland; 19th International Nutrition & Health Conferences, April 12-14, 2018, Amsterdam, Netherlands; 21st International Food Summit, October 11-13, 2018, Moscow, Russia; 6th Global Plant Biology Meetings, October 29-30, 2018, Madrid, Spain; 3rd International Food Packaging Conferences, July 16-18, 2018, Rome, Italy; 5th Global Plant Science Meetings, June 20-21, 2018, Rome, Italy; 21st International Food Technology Conferences, October 02-04, 2018, London, UK, 9th European Food Safety Conferences, November 29-30, 2018 Dublin, Ireland; 3rd International Food Microbiology Conferences, November 29-30, 2018 Dublin, Ireland; 14th Euro Obesity Conferences, September 13-14, 2018, London, UK; 14th International Childhood Obesity Conferences, February 18-19, 2019, Rome, Italy , 21st International Food Technology Conferences, October 02-04, 2018, London, UK, 9th European Food Safety Conferences, November 29-30, 2018 Dublin, Ireland; 3rd International Food Microbiology Conferences, November 29-30, 2018 Dublin, Ireland; 14th Euro Obesity Conferences, September 13-14, 2018, London, UK; 14th International Childhood Obesity Conferences, February 18-19, 2019, Rome, Italy, 20th Annual Food Safety Summit, May 07-10, 2018, Rosemont, Illinois, 7th International Nutrition and Food Sciences Conferences, May 13-15, 2018,Lisbon, Portugal, 3rd International Food Security and Sustainability Conferences, May 21-22 ,2018, New York, USA, The Food Defence Conference, May 22-24, 2018, Minneapolis, Minnesota. This session will enable us to filter out many of the less important molecular features that are not directly relevant to observe able changes in macroscopic properties during food processing and storage. It provokes interest in the way by which structure, texture and shelf life are affected by the distribution between interfaces and bulk phases of various stabilizing species. Europe: International Society of Renal Nutrition and Metabolism, European Nutrition for Health Alliance, British Nutrition Foundation, European Food Information Council. 23rd Euro-Global summit on Food and Beverages, February 26-27, 2020, Berlin, Germany; 10th Euro-Global Aquaculture Conferences, October 08-09, 2018, London, UK; 22nd Euro-Global Food Conferences, February 28- March 02, 2019 London, UK; 8th International Food Safety Conferences, June 11-12, 2018 Barcelona, Spain; 14th International Nutrition Conferences, July 19-20, 2018, London, UK; 21st European Food & Nutrition Conferences, June 11-12, 2018, Dublin, Ireland; 15th International Food & Nutrition Conferences, May 24-26, 2018, Vienna, Austria; 6th International Nutrition Conferences, August 16-18, 2018, Dublin, Ireland; 19th International Nutrition & Health Conferences, April 12-14, 2018, Amsterdam, Netherlands; 21st International Food Summit, October 11-13, 2018, Moscow, Russia; 6th Global Plant Biology Meetings, October 29-30, 2018, Madrid, Spain; 3rd International Food Packaging Conferences, July 16-18, 2018, Rome, Italy; 5th Global Plant Science Meetings, June 20-21, 2018, Rome, Italy; 21st International Food Technology Conferences, October 02-04, 2018, London, UK, 9th European Food Safety Conferences, November 29-30, 2018 Dublin, Ireland; 3rd International Food Microbiology Conferences, November 29-30, 2018 Dublin, Ireland; 14th Euro Obesity Conferences, September 13-14, 2018, London, UK; 14th International Childhood Obesity Conferences, February 18-19, 2019, Rome, Italy , 21st International Food Technology Conferences, October 02-04, 2018, London, UK, 9th European Food Safety Conferences, November 29-30, 2018 Dublin, Ireland; 3rd International Food Microbiology Conferences, November 29-30, 2018 Dublin, Ireland; 14th Euro Obesity Conferences, September 13-14, 2018, London, UK; 14th International Childhood Obesity Conferences, February 18-19, 2019, Rome, Italy, International Food Chemistry and Technology Conference, November 05-07, 2018,Berlin, Germany, Food Matters Live Conference,November20-26,2018,ExCeL, London, China, International Food Safety & Quality Conference , November 07 - 08, 2018 ,Shanghai City, China, 7th International Food Factors Conference, December 1-5, 2019, Kobe, Japan ,Global Feed & Food Congress, March 11-13 March 2019, Bangkok, Thailand, International Agriculture, Forest, Food Sciences and Technologies Conference, April 02-05,2018,cesme Izmir, turkey, 9th International Biotechnology and Food Science Conference, April 09-11, 2018, Copenhagen, Denmark, 5th International Food Security and Nutrition Conference, April 09-11, 2018, Copenhagen, Denmark, International Raw Materials to Processed Foods Conference, April 11-13, 2018, Antalya, Turkey. 10th Euro-Global Aquaculture Conferences, October 08-09, 2018, London, UK; 22nd Euro-Global Food Conferences, February 28- March 02, 2019 London, UK; 8th International Food Safety Conferences, June 11-12, 2018 Barcelona, Spain; 14th International Nutrition Conferences, July 19-20, 2018, London, UK; 21st European Food & Nutrition Conferences, June 11-12, 2018, Dublin, Ireland; 15th International Food & Nutrition Conferences, May 24-26, 2018, Vienna, Austria; 6th International Nutrition Conferences, August 16-18, 2018, Dublin, Ireland; 19th International Nutrition & Health Conferences, April 12-14, 2018, Amsterdam, Netherlands; 21st International Food Summit, October 11-13, 2018, Moscow, Russia; 6th Global Plant Biology Meetings, October 29-30, 2018, Madrid, Spain; 3rd International Food Packaging Conferences, July 16-18, 2018, Rome, Italy; 5th Global Plant Science Meetings, June 20-21, 2018, Rome, Italy; 21st International Food Technology Conferences, October 02-04, 2018, London, UK, 9th European Food Safety Conferences, November 29-30, 2018 Dublin, Ireland; 3rd International Food Microbiology Conferences, November 29-30, 2018 Dublin, Ireland; 14th Euro Obesity Conferences, September 13-14, 2018, London, UK; 14th International Childhood Obesity Conferences, February 18-19, 2019, Rome, Italy, 21st International Food Technology Conferences, October 02-04, 2018, London, UK, 9th European Food Safety Conferences, November 29-30, 2018 Dublin, Ireland; 3rd International Food Microbiology Conferences, November 29-30, 2018 Dublin, Ireland; 14th Euro Obesity Conferences, September 13-14, 2018, London, UK; 14th International Childhood Obesity Conferences, February 18-19, 2019, Rome, Italy , The Food Defence Conference, May 22-24, 2018,Minneapolis, Minnesota, Nano-Enabled Technologies to Improve Efficiency, Quality, and Health in Food and Agriculture Conferences, June 02 - 03, 2018,South Hadley, US, North American Food Safety & Quality Conferences, 2018,June 05-06, 2018,Chicago, IL, 5th International Food Oral Processing Conferences, July 01-04,2018, University of Nottingham, United Kingdom, 20th International Food Security and Nutrition Conferences, June 14 - 15, 2018, Vienna, Austria, 2nd International Food Science, Nutrition & Probiotics Conferences, August 06-08, 2018,Berlin, Germany, International Food Blogger Conference, August 24-26,2018,New Orleans, Louisiana, Innovations in Food Science and Human Nutrition Conferences, September 13-15, 2018,Rome, Italy, 2nd International Food Science and Bioprocess Technology Conferences, October 01-03, 2018, Frankfurt, Germany, Food & Nutrition Conference & Expo 2018, October 20-23, 2018 Washington, United States, Global Food Tourism Conference, October 14-16, 2018,Austin, Texas, International Food Chemistry and Technology Conferences, November 05-07, 2018,Berlin, Germany. 23rd Euro-Global summit on Food and Beverages, February 26-27, 2020, Berlin, Germany; 10th Euro-Global Aquaculture Conferences, October 08-09, 2018, London, UK; 22nd Euro-Global Food Conferences, February 28- March 02, 2019 London, UK; 8th International Food Safety Conferences, June 11-12, 2018 Barcelona, Spain; 14th International Nutrition Conferences, July 19-20, 2018, London, UK; 21st European Food & Nutrition Conferences, June 11-12, 2018, Dublin, Ireland; 15th International Food & Nutrition Conferences, May 24-26, 2018, Vienna, Austria; 6th International Nutrition Conferences, August 16-18, 2018, Dublin, Ireland; 19th International Nutrition & Health Conferences, April 12-14, 2018, Amsterdam, Netherlands; 21st International Food Summit, October 11-13, 2018, Moscow, Russia; 6th Global Plant Biology Meetings, October 29-30, 2018, Madrid, Spain; 3rd International Food Packaging Conferences, July 16-18, 2018, Rome, Italy; 5th Global Plant Science Meetings, June 20-21, 2018, Rome, Italy; 21st International Food Technology Conferences, October 02-04, 2018, London, UK, 9th European Food Safety Conferences, November 29-30, 2018 Dublin, Ireland; 3rd International Food Microbiology Conferences, November 29-30, 2018 Dublin, Ireland; 14th Euro Obesity Conferences, September 13-14, 2018, London, UK; 14th International Childhood Obesity Conferences, February 18-19, 2019, Rome, Italy, 21st International Food Technology Conferences, October 02-04, 2018, London, UK, 9th European Food Safety Conferences, November 29-30, 2018 Dublin, Ireland; 3rd International Food Microbiology Conferences, November 29-30, 2018 Dublin, Ireland; 14th Euro Obesity Conferences, September 13-14, 2018, London, UK; 14th International Childhood Obesity Conferences, February 18-19, 2019, Rome, Italy , The Food Defence Conference, May 22-24, 2018,Minneapolis, Minnesota, Nano-Enabled Technologies to Improve Efficiency, Quality, and Health in Food and Agriculture Conferences, June 02 - 03, 2018,South Hadley, US, North American Food Safety & Quality Conferences, 2018,June 05-06, 2018,Chicago, IL, 5th International Food Oral Processing Conferences, July 01-04,2018, University of Nottingham, United Kingdom, 20th International Food Security and Nutrition Conferences, June 14 - 15, 2018, Vienna, Austria, 2nd International Food Science, Nutrition & Probiotics Conferences, August 06-08, 2018,Berlin, Germany, International Food Blogger Conference, August 24-26,2018,New Orleans, Louisiana, Innovations in Food Science and Human Nutrition Conferences, September 13-15, 2018,Rome, Italy, 2nd International Food Science and Bioprocess Technology Conferences, October 01-03, 2018, Frankfurt, Germany, Food & Nutrition Conference & Expo 2018, October 20-23, 2018 Washington, United States, Global Food Tourism Conference, October 14-16, 2018,Austin, Texas, International Food Chemistry and Technology Conferences, November 05-07, 2018,Berlin, Germany. 23rd Euro-Global summit on Food and Beverages, February 26-27, 2020, Berlin, Germany; 10th Euro-Global Aquaculture Conferences, October 08-09, 2018, London, UK; 22nd Euro-Global Food Conferences, February 28- March 02, 2019 London, UK; 8th International Food Safety Conferences, June 11-12, 2018 Barcelona, Spain; 14th International Nutrition Conferences, July 19-20, 2018, London, UK; 21st European Food & Nutrition Conferences, June 11-12, 2018, Dublin, Ireland; 15th International Food & Nutrition Conferences, May 24-26, 2018, Vienna, Austria; 6th International Nutrition Conferences, August 16-18, 2018, Dublin, Ireland; 19th International Nutrition & Health Conferences, April 12-14, 2018, Amsterdam, Netherlands; 21st International Food Summit, October 11-13, 2018, Moscow, Russia; 6th Global Plant Biology Meetings, October 29-30, 2018, Madrid, Spain; 3rd International Food Packaging Conferences, July 16-18, 2018, Rome, Italy; 5th Global Plant Science Meetings, June 20-21, 2018, Rome, Italy; 21st International Food Technology Conferences, October 02-04, 2018, London, UK, 9th European Food Safety Conferences, November 29-30, 2018 Dublin, Ireland; 3rd International Food Microbiology Conferences, November 29-30, 2018 Dublin, Ireland; 14th Euro Obesity Conferences, September 13-14, 2018, London, UK; 14th International Childhood Obesity Conferences, February 18-19, 2019, Rome, Italy, Nano-Enabled Technologies to Improve Efficiency, Quality, and Health in Food and Agriculture Conferences, June 02 - 03, 2018,South Hadley, US, North American Food Safety & Quality Conferences , June 05-06, 2018,Chicago, IL, 5th International Food Oral Processing Conferences, July 01-04,2018, University of Nottingham, United Kingdom, 20th International Food Security and Nutrition Conferences, June 14 - 15, 2018, Vienna, Austria, 2nd International Food Science, Nutrition & Probiotics Conferences, August 06-08, 2018,Berlin, Germany, International Food Blogger Conference, August 24-26,2018,New Orleans, Louisiana, Innovations in Food Science and Human Nutrition Conferences, September 13-15, 2018Rome, Italy. 23rd Euro-Global summit on Food and Beverages, February 26-27, 2020, Berlin, Germany; 10th Euro-Global Aquaculture Conferences, October 08-09, 2018, London, UK; 22nd Euro-Global Food Conferences, February 28- March 02, 2019 London, UK; 8th International Food Safety Conferences, June 11-12, 2018 Barcelona, Spain; 14th International Nutrition Conferences, July 19-20, 2018, London, UK; 21st European Food & Nutrition Conferences, June 11-12, 2018, Dublin, Ireland; 15th International Food & Nutrition Conferences, May 24-26, 2018, Vienna, Austria; 6th International Nutrition Conferences, August 16-18, 2018, Dublin, Ireland; 19th International Nutrition & Health Conferences, April 12-14, 2018, Amsterdam, Netherlands; 21st International Food Summit, October 11-13, 2018, Moscow, Russia; 6th Global Plant Biology Meetings, October 29-30, 2018, Madrid, Spain; 3rd International Food Packaging Conferences, July 16-18, 2018, Rome, Italy; 5th Global Plant Science Meetings, June 20-21, 2018, Rome, Italy; 21st International Food Technology Conferences, October 02-04, 2018, London, UK, 9th European Food Safety Conferences, November 29-30, 2018 Dublin, Ireland; 3rd International Food Microbiology Conferences, November 29-30, 2018 Dublin, Ireland; 14th Euro Obesity Conferences, September 13-14, 2018, London, UK; 14th International Childhood Obesity Conferences, February 18-19, 2019, Rome, Italy, 20th Annual Food Safety Summit, May 07-10, 2018, Rosemont, Illinois, 7th International Nutrition and Food Sciences Conferences, May 13-15, 2018,Lisbon, Portugal, 3rd International Food Security and Sustainability Conferences, May 21-22 ,2018, New York, USA, The Food Defence Conference, May 22-24, 2018, Minneapolis, Minnesota. 23rd Euro-Global summit on Food and Beverages, February 26-27, 2020, Berlin, Germany; 10th Euro-Global Aquaculture Conferences, October 08-09, 2018, London, UK; 22nd Euro-Global Food Conferences, February 28- March 02, 2019 London, UK; 8th International Food Safety Conferences, June 11-12, 2018 Barcelona, Spain; 14th International Nutrition Conferences, July 19-20, 2018, London, UK; 21st European Food & Nutrition Conferences, June 11-12, 2018, Dublin, Ireland; 15th International Food & Nutrition Conferences, May 24-26, 2018, Vienna, Austria; 6th International Nutrition Conferences, August 16-18, 2018, Dublin, Ireland; 19th International Nutrition & Health Conferences, April 12-14, 2018, Amsterdam, Netherlands; 21st International Food Summit, October 11-13, 2018, Moscow, Russia; 6th Global Plant Biology Meetings, October 29-30, 2018, Madrid, Spain; 3rd International Food Packaging Conferences, July 16-18, 2018, Rome, Italy; 5th Global Plant Science Meetings, June 20-21, 2018, Rome, Italy; 21st International Food Technology Conferences, October 02-04, 2018, London, UK, 9th European Food Safety Conferences, November 29-30, 2018 Dublin, Ireland; 3rd International Food Microbiology Conferences, November 29-30, 2018 Dublin, Ireland; 14th Euro Obesity Conferences, September 13-14, 2018, London, UK; 14th International Childhood Obesity Conferences, February 18-19, 2019, Rome, Italy , 5th International Food Oral Processing Conferences , July 01-04,2018, University of Nottingham, United Kingdom, 20th International Food Security and Nutrition Conferences, June 14 - 15, 2018, Vienna, Austria, 2nd International Food Science, Nutrition & Probiotics Conferences , August 06-08, 2018,Berlin, Germany, International Food Blogger Conference, August 24-26,2018,New Orleans, Louisiana, Innovations in Food Science and Human Nutrition Conferences, September 13-15, 2018Rome, Italy, 2nd International Food Science and Bioprocess Technology Conferences, October 01-03, 2018, Frankfurt, Germany, Food & Nutrition Conference & Expo 2018 , October 20-23, 2018 Washington, United States, Global Food Tourism Conference, October 14-16, 2018,Austin, Texas, International Food Chemistry and Technology Conferences, November 05-07, 2018,Berlin, Germany, Food Matters Live Conference,November20-26,2018,ExCeL, London, China, International Food Safety & Quality Conference , November 07 - 08, 2018 ,Shanghai City, China, 7th International Food Factors Conferences ,December 1-5, 2019, Kobe, Japan ,Global Feed & Food Congress, March 11-13 March 2019, Bangkok, Thailand. 23rd Euro-Global summit on Food and Beverages, February 26-27, 2020, Berlin, Germany; 10th Euro-Global Aquaculture Conferences, October 08-09, 2018, London, UK; 22nd Euro-Global Food Conferences, February 28- March 02, 2019 London, UK; 8th International Food Safety Conferences, June 11-12, 2018 Barcelona, Spain; 14th International Nutrition Conferences, July 19-20, 2018, London, UK; 21st European Food & Nutrition Conferences, June 11-12, 2018, Dublin, Ireland; 15th International Food & Nutrition Conferences, May 24-26, 2018, Vienna, Austria; 6th International Nutrition Conferences, August 16-18, 2018, Dublin, Ireland; 19th International Nutrition & Health Conferences, April 12-14, 2018, Amsterdam, Netherlands; 21st International Food Summit, October 11-13, 2018, Moscow, Russia; 6th Global Plant Biology Meetings, October 29-30, 2018, Madrid, Spain; 3rd International Food Packaging Conferences, July 16-18, 2018, Rome, Italy; 5th Global Plant Science Meetings, June 20-21, 2018, Rome, Italy; 21st International Food Technology Conferences, October 02-04, 2018, London, UK, 9th European Food Safety Conferences, November 29-30, 2018 Dublin, Ireland; 3rd International Food Microbiology Conferences, November 29-30, 2018 Dublin, Ireland; 14th Euro Obesity Conferences, September 13-14, 2018, London, UK; 14th International Childhood Obesity Conferences, February 18-19, 2019, Rome, Italy, Food Protection Conference, April 16 -20, 2018, Richmond, Virginia, National Agricultural & Food Mechanisation Conferences (NCAFM) 2018, April 17-192018, Sarawak, Malaysia, Food & Beverage, Hospitality Conference, April24-27,2018, Singapore Expo & Suntec Singapore, International Food Safety and Food Processing Conferences, May 02-03, 2018, Melbourne, Australia ,20th Annual Food Safety Summit, May 07-10, 2018, Rosemont, Illinois, 7th International Nutrition and Food Sciences Conferences, May 13-15, 2018,Lisbon, Portugal, 3rd International Food Security and Sustainability Conferences, May 21-22 ,2018, New York, USA, The Food Defence Conference, May 22-24, 2018 Minneapolis, Minnesota, Nano-Enabled Technologies to Improve Efficiency, Quality, and Health in Food and Agriculture Conferences, June 02 - 03, 2018,South Hadley, US, International Agriculture, Forest, Food Sciences and Technologies Conferences, April 02-05,2018,cesme Izmir, turkey, 9th International Biotechnology and Food Science Conferences, April 09-11, 2018, Copenhagen, Denmark. 23rd Euro-Global summit on Food and Beverages, February 26-27, 2020, Berlin, Germany; 10th Euro-Global Aquaculture Conferences, October 08-09, 2018, London, UK; 22nd Euro-Global Food Conferences, February 28- March 02, 2019 London, UK; 8th International Food Safety Conferences, June 11-12, 2018 Barcelona, Spain; 14th International Nutrition Conferences, July 19-20, 2018, London, UK; 21st European Food & Nutrition Conferences, June 11-12, 2018, Dublin, Ireland; 15th International Food & Nutrition Conferences, May 24-26, 2018, Vienna, Austria; 6th International Nutrition Conferences, August 16-18, 2018, Dublin, Ireland; 19th International Nutrition & Health Conferences, April 12-14, 2018, Amsterdam, Netherlands; 21st International Food Summit, October 11-13, 2018, Moscow, Russia; 6th Global Plant Biology Meetings, October 29-30, 2018, Madrid, Spain; 3rd International Food Packaging Conferences, July 16-18, 2018, Rome, Italy; 5th Global Plant Science Meetings, June 20-21, 2018, Rome, Italy; 21st International Food Technology Conferences, October 02-04, 2018, London, UK, 9th European Food Safety Conferences, November 29-30, 2018 Dublin, Ireland; 3rd International Food Microbiology Conferences, November 29-30, 2018 Dublin, Ireland; 14th Euro Obesity Conferences, September 13-14, 2018, London, UK; 14th International Childhood Obesity Conferences, February 18-19, 2019, Rome, Italy, International Food Safety and Food Processing Conferences, May 02-03, 2018, Melbourne, Australia ,20th Annual Food Safety Summit, May 07-10, 2018, Rosemont, Illinois, 7th International Nutrition and Food Sciences Conferences, May 13-15, 2018,Lisbon, Portugal, 3rd International Food Security and Sustainability Conferences, May 21-22 ,2018, New York, USA, The Food Defence Conference, May 22-24, 2018 Minneapolis, Minnesota, Nano-Enabled Technologies to Improve Efficiency, Quality, and Health in Food and Agriculture Conferences, June 02 - 03, 2018,South Hadley, US, North American Food Safety & Quality Conferences ,June 05-06, 2018 Chicago, IL, 5th International Food Oral Processing Conferences, July 01-04,2018, University of Nottingham, United Kingdom, 20th International Food Security and Nutrition Conferences , June 14 - 15, 2018, Vienna, Austria, 2nd International Food Science, Nutrition & Probiotics Conferences, August 06-08, 2018,Berlin, Germany, International Food Blogger Conference, August 24-26,2018,New Orleans, Louisiana, Innovations in Food Science and Human Nutrition Conferences, September 13-15, 2018 Rome, Italy, 2nd International Food Science and Bioprocess Technology Conferences, October 01-03, 2018, Frankfurt, Germany, Food & Nutrition Conference & Expo 2018 , October 20-23, 2018, Washington, United States; Global Food Tourism Conference, October 14-16, 2018, Austin, Texas; International Food Chemistry and Technology Conferences, November 05-07 2018, Berlin, Germany. 23rd Euro-Global summit on Food and Beverages, February 26-27, 2020, Berlin, Germany; 10th Euro-Global Aquaculture Conferences, October 08-09, 2018, London, UK; 22nd Euro-Global Food Conferences, February 28- March 02, 2019 London, UK; 8th International Food Safety Conferences, June 11-12, 2018 Barcelona, Spain; 14th International Nutrition Conferences, July 19-20, 2018, London, UK; 21st European Food & Nutrition Conferences, June 11-12, 2018, Dublin, Ireland; 15th International Food & Nutrition Conferences, May 24-26, 2018, Vienna, Austria; 6th International Nutrition Conferences, August 16-18, 2018, Dublin, Ireland; 19th International Nutrition & Health Conferences, April 12-14, 2018, Amsterdam, Netherlands; 21st International Food Summit, October 11-13, 2018, Moscow, Russia; 6th Global Plant Biology Meetings, October 29-30, 2018, Madrid, Spain; 3rd International Food Packaging Conferences, July 16-18, 2018, Rome, Italy; 5th Global Plant Science Meetings, June 20-21, 2018, Rome, Italy; 21st International Food Technology Conferences, October 02-04, 2018, London, UK, 9th European Food Safety Conferences, November 29-30, 2018 Dublin, Ireland; 3rd International Food Microbiology Conferences, November 29-30, 2018 Dublin, Ireland; 14th Euro Obesity Conferences, September 13-14, 2018, London, UK; 14th International Childhood Obesity Conferences, February 18-19, 2019, Rome, Italy, International Food Safety and Food Processing Conferences, May 02-03, 2018, Melbourne, Australia ,20th Annual Food Safety Summit, May 07-10, 2018, Rosemont, Illinois, 7th International Nutrition and Food Sciences Conferences, May 13-15, 2018,Lisbon, Portugal, 3rd International Food Security and Sustainability Conferences, May 21-22 ,2018, New York, USA, The Food Defence Conference, May 22-24, 2018, Minneapolis, Minnesota, Nano-Enabled Technologies to Improve Efficiency, Quality, and Health in Food and Agriculture Conferences, June 02 - 03, 2018,South Hadley, US, North American Food Safety & Quality Conferences, June 05-06, 2018,Chicago, IL, 5th International Food Oral Processing Conferences, July 01-04,2018, University of Nottingham, United Kingdom, 20th International Food Security and Nutrition Conferences, June 14 - 15, 2018, Vienna, Austria, 2nd International Food Science, Nutrition & Probiotics Conferences, August 06-08, 2018,Berlin, Germany, International Food Blogger Conference, August 24-26,2018,New Orleans, Louisiana, Innovations in Food Science and Human Nutrition Conferences, September 13-15, 2018Rome, Italy, 2nd International Food Science and Bioprocess Technology Conferences, October 01-03, 2018, Frankfurt, Germany. 23rd Euro-Global summit on Food and Beverages, February 26-27, 2020, Berlin, Germany; 10th Euro-Global Aquaculture Conferences, October 08-09, 2018, London, UK; 22nd Euro-Global Food Conferences, February 28- March 02, 2019 London, UK; 8th International Food Safety Conferences, June 11-12, 2018 Barcelona, Spain; 14th International Nutrition Conferences, July 19-20, 2018, London, UK; 21st European Food & Nutrition Conferences, June 11-12, 2018, Dublin, Ireland; 15th International Food & Nutrition Conferences, May 24-26, 2018, Vienna, Austria; 6th International Nutrition Conferences, August 16-18, 2018, Dublin, Ireland; 19th International Nutrition & Health Conferences, April 12-14, 2018, Amsterdam, Netherlands; 21st International Food Summit, October 11-13, 2018, Moscow, Russia; 6th Global Plant Biology Meetings, October 29-30, 2018, Madrid, Spain; 3rd International Food Packaging Conferences, July 16-18, 2018, Rome, Italy; 5th Global Plant Science Meetings, June 20-21, 2018, Rome, Italy; 21st International Food Technology Conferences, October 02-04, 2018, London, UK, 9th European Food Safety Conferences, November 29-30, 2018 Dublin, Ireland; 3rd International Food Microbiology Conferences, November 29-30, 2018 Dublin, Ireland; 14th Euro Obesity Conferences, September 13-14, 2018, London, UK; 14th International Childhood Obesity Conferences, February 18-19, 2019, Rome, Italy, 20th International Food Security and Nutrition Conference, June 14 - 15, 2018, Vienna, Austria, 2nd International Food Science, Nutrition & Probiotics Conference, August 06-08, 2018,Berlin, Germany, International Food Blogger Conference, August 24-26,2018,New Orleans, Louisiana, Innovations in Food Science and Human Nutrition Conferences, September 13-15, 2018,Rome, Italy, 2nd International Food Science and Bioprocess Technology Conferences October 01-03, 2018, Frankfurt, Germany, Food & Nutrition Conference & Expo 2018, October 20-23, 2018 Washington, United States, Global Food Tourism Conference, October, 14-16, 2018 Austin, Texas, International Food Chemistry and Technology Conferences, November 05-07, 2018,Berlin, Germany, Food Matters Live Conference,November20-26,2018,ExCeL, London, China, International Food Safety & Quality Conference , November 07 - 08, 2018 ,Shanghai City, China, 7th International Food Factors ,December 1-5, 2019, Kobe, Japan ,Global Feed & Food Congress, March 11-13 March 2019, Bangkok, Thailand. Management it all starts with the hospitality which is much concerned about the provision of food , drink and accommodation away from home yet making one feel as comfortable as home. According to the needs of the customer management deals with different sectors, at times even into retail distribution, motor vehicle arrangement and catering. Managing of crises often requires the owners get heavily involved and solving of crisis. It also includes individuals taking up groups developing team spirits and working in coordination is of much interest making the customers comfortable. This session deals a very interesting part of food and beverage sector i.e. Management and services methods, the tactics in managing the quality of the food, the industry, and the operations involved in production of food and beverage sector. This food conference also tells us about the servicing techniques followed at different places, the influence of menu and also the production methods. 23rd Euro-Global summit on Food and Beverages, February 26-27, 2020, Berlin, Germany; 10th Euro-Global Aquaculture Conferences, October 08-09, 2018, London, UK; 22nd Euro-Global Food Conferences, February 28- March 02, 2019 London, UK; 8th International Food Safety Conferences, June 11-12, 2018 Barcelona, Spain; 14th International Nutrition Conferences, July 19-20, 2018, London, UK; 21st European Food & Nutrition Conferences, June 11-12, 2018, Dublin, Ireland; 15th International Food & Nutrition Conferences, May 24-26, 2018, Vienna, Austria; 6th International Nutrition Conferences, August 16-18, 2018, Dublin, Ireland; 19th International Nutrition & Health Conferences, April 12-14, 2018, Amsterdam, Netherlands; 21st International Food Summit, October 11-13, 2018, Moscow, Russia; 6th Global Plant Biology Meetings, October 29-30, 2018, Madrid, Spain; 3rd International Food Packaging Conferences, July 16-18, 2018, Rome, Italy; 5th Global Plant Science Meetings, June 20-21, 2018, Rome, Italy; 21st International Food Technology Conferences, October 02-04, 2018, London, UK, 9th European Food Safety Conferences, November 29-30, 2018 Dublin, Ireland; 3rd International Food Microbiology Conferences, November 29-30, 2018 Dublin, Ireland; 14th Euro Obesity Conferences, September 13-14, 2018, London, UK; 14th International Childhood Obesity Conferences, February 18-19, 2019, Rome, Italy , The Food Defence Conference, May 22-24, 2018,Minneapolis, Minnesota, Nano-Enabled Technologies to Improve Efficiency, Quality, and Health in Food and Agriculture Conferences, June 02 - 03, 2018,South Hadley, US, North American Food Safety & Quality Conferences, 2018,June 05-06, 2018,Chicago, IL, 5th International Food Oral Processing Conferences, July 01-04,2018, University of Nottingham, United Kingdom, 20th International Food Security and Nutrition Conferences, June 14 - 15, 2018, Vienna, Austria, 2nd International Food Science, Nutrition & Probiotics Conferences, August 06-08, 2018,Berlin, Germany, International Food Blogger Conference, August 24-26,2018,New Orleans, Louisiana, Innovations in Food Science and Human Nutrition Conferences, September 13-15, 2018,Rome, Italy, 2nd International Food Science and Bioprocess Technology Conferences, October 01-03, 2018, Frankfurt, Germany, Food & Nutrition Conference & Expo 2018, October 20-23, 2018 Washington, United States, Global Food Tourism Conference, October 14-16, 2018,Austin, Texas, International Food Chemistry and Technology Conferences, November 05-07, 2018,Berlin, Germany. Food is essential to life. It also forms an important part of our cultural identity, and plays an important role in the economy. Many of today´s food production systems compromise the capacity of Earth to produce food in the future. Globally, and in many regions including Europe, food production is exceeding environmental limits or is close to doing so. Nitrogen synthesis exceeds the planetary boundary by factor of four and phosphorus use has reached the planetary boundary. Land use change and land degradation, and the dependence on fossil energy contribute about one- fourth of Greenhouse Gas emissions. Agriculture, including fisheries, is the single largest driver of biodiversity loss. Regionally, water extracted by irrigation exceeds the replenishment of the resource. Price volatility, access restrictions and the interconnectedness of global commodity markets, as well as the increasing vulnerability of food production systems to climate change and loss of agro-biodiversity, will make food even more inaccessible for the poor in the future. What drives our food system? How can we move towards a more resource efficient and sustainable food system? Berlin largest city of Germany! The food industry including the tobacco industry is one of Berlin's strongest industrial sectors in terms of turnover and number of employees. The food industry accounts for about 10% of all employment in the manufacturing sector. Berlin is focused on the production of coffee, confectionery and baked goods, fruit and vegetable processing, the beverage industry as well as on meat and tobacco processing. The capital region's food industry benefits from the area’s high proportion of rural space and a very well developed agricultural sector. Nearly half of the land devoted to agriculture in the region is used to produce grain.Nationally and internationally known brands such as Coca-Cola, Schultheiss, Kühne, Storck, Stollwerck or Bahlsen already benefit from the ideal environment Berlin offers. A company like Fassbender & Rausch has become the largest chocolate producer in the world. The capital offers excellent conditions for food and beverage businesses. The surrounding agricultural regions and the six million consumers in the metropolitan area provide a solid foundation for growth in the food and beverage sector. Metropolitan Berlin is an ideal test market for new products. Berlin’s close economic relations with the ten new EU member states and its proximity to the 250 million consumers in Eastern Europe mean promising sales opportunities. The region's robust agricultural sector ensures that food and beverage makers have quick access to the quality ingredients they need. Service providers in the packaging industry and logistics centres guarantee the shortest possible path to consumers. The eastward expansion of the EU is opening new horizons. New quality certification programs for organic meats and potatoes offer producer’s new ways to improve their marketing and boost sales. Another promising field for the industry is the processing of local agricultural resources. The growth of the organic food market is especially dynamic in Berlin, which has more organic supermarkets than any other European city. There are clear opportunities for value-added processing in the areas of yoghurt, cheese, frozen foods, convenience foods, chilled foods and juices. A number of leading international tradeshows take place in Berlin, including the Grüne Woche, which is the world's largest consumer exhibition for agriculture and nutrition, and the Fruit Logistical, which is the leading industry get-together for the fresh fruit trade. The 22nd Euro-Global Summit on Food and Beverages organized by Conference Series LLC Ltd was held in London, UK during February 28-March 01, 2019. Active involvement and generous comeback were received from the Organizing Committee Members, Editorial Board Members of Conference Series LLC Ltd Journals as well as from Prominent Scientists, Researchers and Young Student Community. Researchers and students who disclosed up from different parts of the globe have made the conference one of the most effective and prolific events in 2019. The conference was noticeable with the presence of renowned scientists, talented young researchers, students and business delegates motivating the three days event into the path of success with thought provoking Keynote and Plenary presentations highlighting the theme “Next Gen of Food Innovation”. The curtains rose with the Opening Ceremony and then the introduction of Honourable guests and the affiliates of Keynote Forum. Sessions include keynote, plenary and oral. Poster Session was organized in the second day which grabbed the attention of students and young researchers. Insightful talks were rendered throughout the two days of the scientific program and the program ended with an extensive networking lunch. We, therefore, acknowledge our gratitude to all our Delegates, Speakers, Exhibitors, Young Researchers and student friends who made this possible. 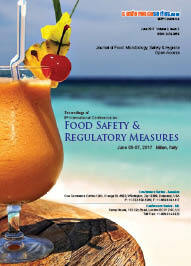 As a unique issue in our highly indexed Journal of Food Processing and Technology, the presented and accepted abstracts at the conference will be published. Backed by a team of very motivated and dedicated colleagues, we now get the wheels to start rolling for our next edition, the 23rd Euro-Global Summit on Food and Beverages at Berlin, Germany during February 26-27, 2020. We look forward to gracing your paramount work and sharing with us your research findings and opinions at Euro Food 2020.